The most energy dense options possible would be those at the top and to the right of the graphic. Were Uranium-235 included, it would have appeared at the top right corner of the graphic. The least energy-dense options would be those at the bottom left of the graphic, which is where we find batteries, flywheels, and compressed air. At this scale, the energy density of these storage options appears to be near zero. Relatively speaking, gasoline contains more than 50 times the energy of the same volume of a nickel-metal hydride battery. Hello, i'd like to comment on your assessment of Hydrogenics' product. "Of course energy is lost when water is broken down into hydrogen and oxygen. The efficiency of electrolysis of water into hydrogen can be as high as 85 percent. Hydrogenics reports that the efficiency of its hydrogen fuel cells “is greater than 55 percent” in converting hydrogen into electricity. So we could expect the cycle of converting off-peak power into hydrogen and then back to electricity during peak demand would be (0.85) * (0.55) = 47 percent efficient. In other words, a little more than half of the power sent to storage is wasted." ok so, you say 85 percent from electrolyser to up to 55 percent for fuel cell. Please elaborate on direct injection into the natural gas pipeline. 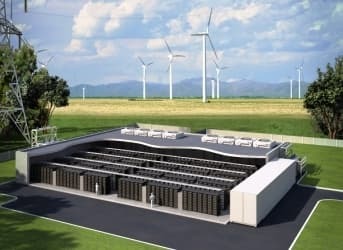 With energy storage of renewable, any way to store large amounts of energy for large amounts of time to miles and miles away is going to garner attention. This power to gas creates a "banking" of wind/solar power. Not sure why it is necessary to even combine the fuel cell portion to the equation. For this would be a specific application for a remote place where hydrogen isn't supplied by other means or simply a station. The dollars and sense of this have been figured out and there is value here for both the utility, their customers, and Hydrogenics. Looking forward to a new article with the facts. You took one application diluting the numbers for power to gas. Where as everyone who understands this tech knows that there are multiple applications and varying roi/margins for each of these. Do a study on what municipalities/power companies do with excess renewable energy and how much they sell there "dump" energy for to their neighbors. To save you some time ITS cheap! There may be a more efficient way to store vast amounts of electricity cheaply and efficiently. And it may work very well for an island like Hawaii. The mechanism is essentially a launch loop laid on its side. It amounts to an enormous, incredibly high speed fly wheel but it not limited in velocity by the strength of the material. Wikipedia has a fairly good starter article on launch loops. "if off-peak power is worth a nickel, and peak power is worth a dime, then a nickel’s worth of power sent to storage is only worth 4.7 cents (47% of a dime) at peak demand. On the other hand, if peak power is worth 15 cents in this scenario, a nickel’s worth of off-peak power can be turned into 7 cents of peak power (47% of 15 cents)." EOS is installing their zinc-air batteries in New York. They claim 75% efficiency, $160/kWh and 6,000 cycles. To get one kWh from off-peak to peak you'd have to start with 1.33 kWhs or 6.7 cents worth of five cent electricity. $160/kWh and 6,000 cycles would mean 2.7 cents per kWh cycle. We're now at 9.4c/kWh. Toss in some BOS costs and profits and it looks like 5 cent offpeak could be sold profitably into 15 cent or less peak hours. EOS thinks they'll have cycle life up to 10k soon. That would shave off a penny. A new GALLUP poll says over 70% of Americans want more WIND and SOLAR energy, so your article is in line with what Americans want. hope they hurry up and figure out that these ources are so diffuse that their portion will likely destroy habitat for our already stressed wildlife. Wind, solar, and bio-fuel are frequently bad for the ecology. A new form of innovative energy storage is making its way to the markets. My firm, Mark Power is developing it. In my view, it is the ideal energy storage that people would want: ultra low cost, high round trip efficiency, zero discharge and capacity degradation, high ramp rates, made entirely out of sustainable green materials and practically unlimited lifetime. Brace yourselves for the novel solution's disclosure this May 2014.